Karachi - Bollywood actress Juhi Chawla after a short visit to the city of Lights, I means Karachi returned to Dubai. On August 31, She revealed his visit of Karachi in his tweet and by posting on Facebook and thus shocked everyone. 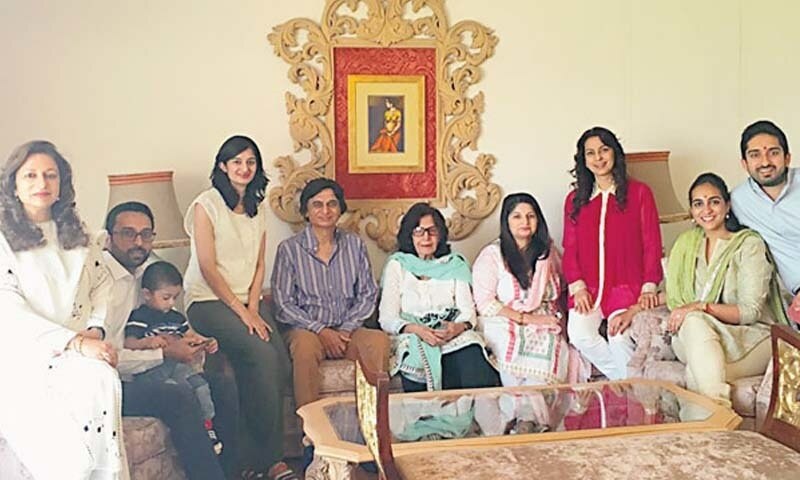 Juhi Chawla has shared a picture in which she is with her friends and family members in Pakistan. 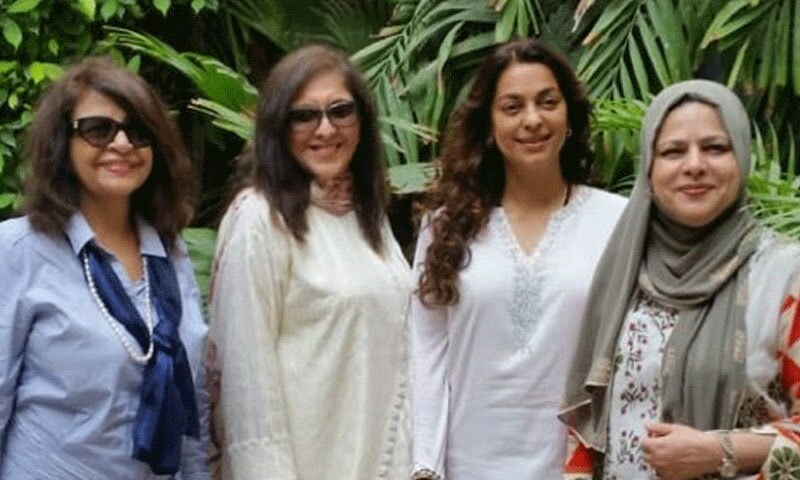 Juhi Chawla shared his pictures and said that She is present in Pakistan's largest city (Karachi) for a short visit also she didn't further reveal how many people are with her on this visit. The actress also told that she went to watch the romantic comedy film 'Jawani Phir Nahi Ani' which is based on the story of an Indian Girl and a Pakistani boy. I really enjoyed the Pakistani movie, she said. After spending some time with her family in Karachi, today she leaves for Dubai flight. Some media journalists tried to talk little bit but she was in hurry. It is believed that it's not her first visit to Pakistan. In past, she came to Karachi, Pakistan in 2013 and 2016 as well.